Contemporary song composer, born London. Still in her teens, Sybil Palliser was among those who performed for Queen Victoria at Osborne House on 31st January, 1895, which the queen also mentioned in her diary. At the age of sixteen, in 1891, Sybil had already given a piano concert at the Meistersingers Club at 63 St James’s Street in London, arranged by her mother, Lady Palliser and her uncle, Edward Palliser. She studied at the Royal Academy of Music, and in April, 1895, was awarded the Charles Mortimer Prize for composition at the academy. Sybil appeared frequently at the popular Gloucester Music Festival and other venues. Her contemporary was Esther Palliser, and the two were quite the ‘pop princesses’ of their day. Esther’s real name was Walters but was no relation and had no Palliser background or ancestry. Mary Jane Sybil Palliser was born in Kensington on 23rd February, 1874, the youngest daughter of Sir William Palliser. In 1908, she married Major Harold Galloway, who was killed at the Battle of Loos in 1916. She was generally known as Sybil, and was sister to my grandfather, Hugh Arbuthnot Palliser. She inherited Annestown House in 1906, which had been in the Palliser family for the previous hundred years. 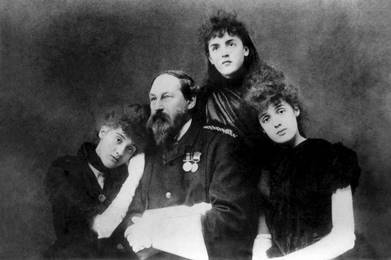 Edward Palliser with his three nieces, May, Sybil and Grace in about 1894. 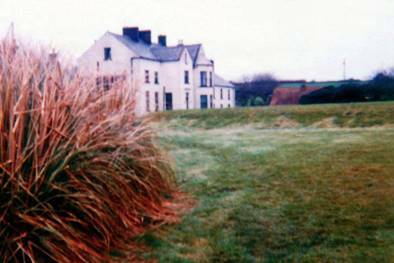 Annestown House, Co. Waterford, Ireland, once the home of Mary Jane Sybil Palliser Galloway, which I first visited in 1984.